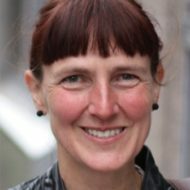 Policy and Social Research and two partners, Norwegian Social Research (NOVA) and the Department of Occupational Psychology, Nofer Institute of Occupational Medicine in Poland, have received a grant from the Polish-Norwegian Research Programme for a study of work–life balance among Polish and Polish–Norwegian couples. The study will be carried out 2013–2016. Read more here.